Preety sensual .... All the respects to road authority who built this road. perhaps a millions of roads are ditched to build the highways all over the world. It's photoshopped for the ad campaign. Engineering 101 says no way to twest a highway in such a manner. 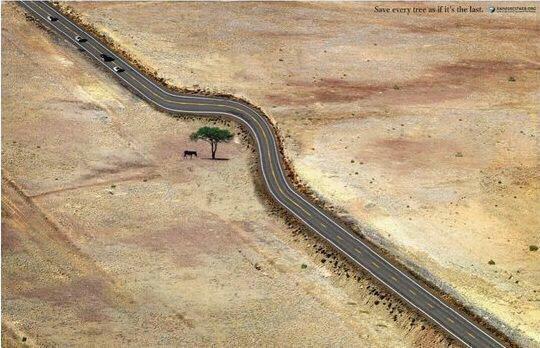 But good photoshop to deliver the message of preseving nature.